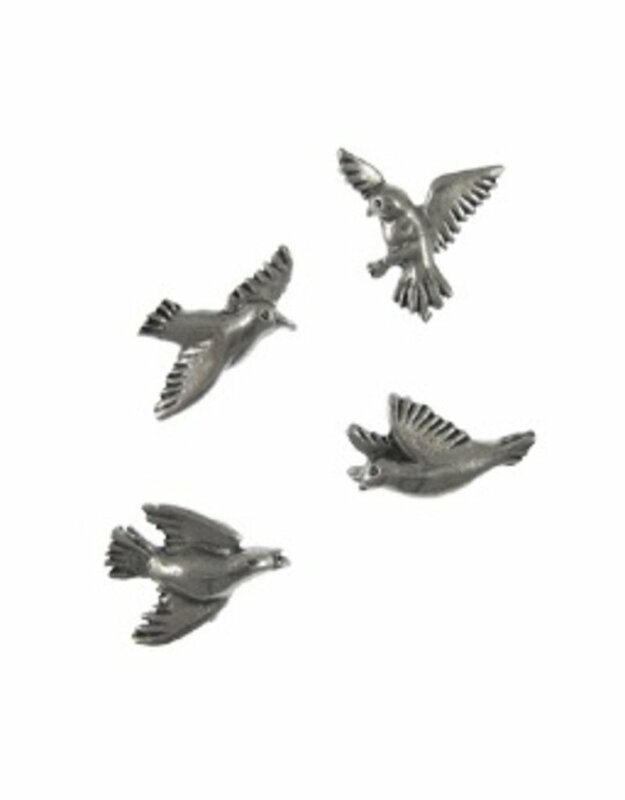 Detailed miniature 3-dimensional bird sculptures are hand cast in pewter. Birdwatching travelers will love adding iconic maptacks to their pin board map. 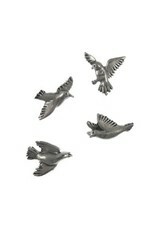 Set of 8.,Approximate size one half inch. Point is 5/16 inch.